Soundwave ((8)) is finally live! You can view the line up of artists, venues, guest curators, and all the thematic descriptions. So proud to be apart of this team. For this year's California College of the Arts Gala I will be curating an exhibition that features CCA alumni from all ages. The Gala takes place in May and the exhibition wil be located in the Nave of the SF Campus. I've been told I can commission large installations! Super excited! This fall I will be Chief Curating the Soundwave ((8)) Biennial. This biennial focuses on sound art and performance in across multiple Bay Area venues and with a variety of artists. I will be working on developing this year's theme of infrastructure, hiring five guest curators, lining up venues, and producing my own exhibition. I'm looking forward to working in new (to me) arts communities in the Bay and expanding how we think about sound art. More soon...! Pleased to announce I'll be speaking about my new work for Living Room Light Exchange! Living Room Light Exchange is a lecture series featured in rotating living rooms around the Bay Area. Lecturers are artists, curators, writers, performers, etc involved in new media. I'm so happy to have a chance to introduce my new work to a brilliant audience and receive some much needed feedback!! I was recently accepted as a researcher in residence at Signal Culture in Owego, New York for two weeks in November! Signal Culture establishes an environment where innovative artists, toolmakers, curators, critics, researchers and historians who are contributing to the field of media art will have time and space to make new work and to interact with one another Signal Culture offers residencies in a live/work space in the beautiful village of Owego in central New York State. 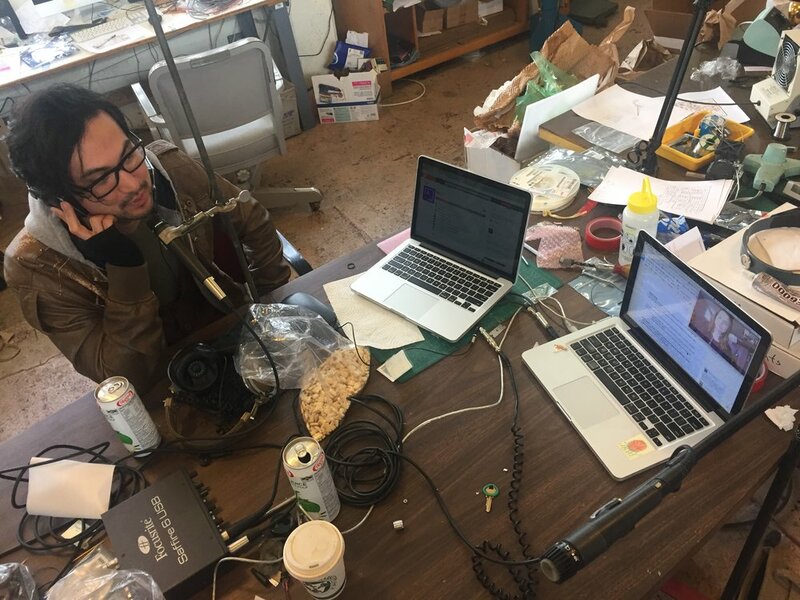 They believe in the importance of fostering a community of people working with experimental media art and host multiple residents concurrently to set a stage for conversation, networking, and possible collaboration. I'll be working on a short essay and developing an exhibition proposal in connection to my critical writing on security questions and their ability to skew memory, history, and identity. I am curating a show for the SonicLab ((8)) Biennial featuring the artists Neotenomie, Porpentine Chairty Heartscape, and Rook. The theme for SonicLAB ((8)) is Infrastructure and is intended to provoke conversation around ideas such as: isolation amid interconnectivity; environmental degradation caused by mass consumption of electronics, the politics of energy infrastructures including fossil fuels and renewables; the movement of goods and services across roads, bridges, railways, channels, and ports; and other often invisible protocols that affect our daily lives. Featuring site specific works spread across San Francisco, the festival will contain events at diverse venues including the sonically pristine Dolby Cinema at Dolby HQ by Cullen Miller and duo Shane Myrbeck/Emily Shisko, a teleportation by Porpentine Charity Heartscape, Neotenomie, and Rook at Gray Area’s restored Grand Theater, a special event in conjunction with SPUR (San Francisco Bay Area Planning and Urban Research Association), and a one of a kind performance curated by Tiare Ribeaux in the Yud Gallery at the Contemporary Jewish Museum. I started working at Sonoma Valley Museum of Art as the Exhibitions Manager. Come visit! It's live! 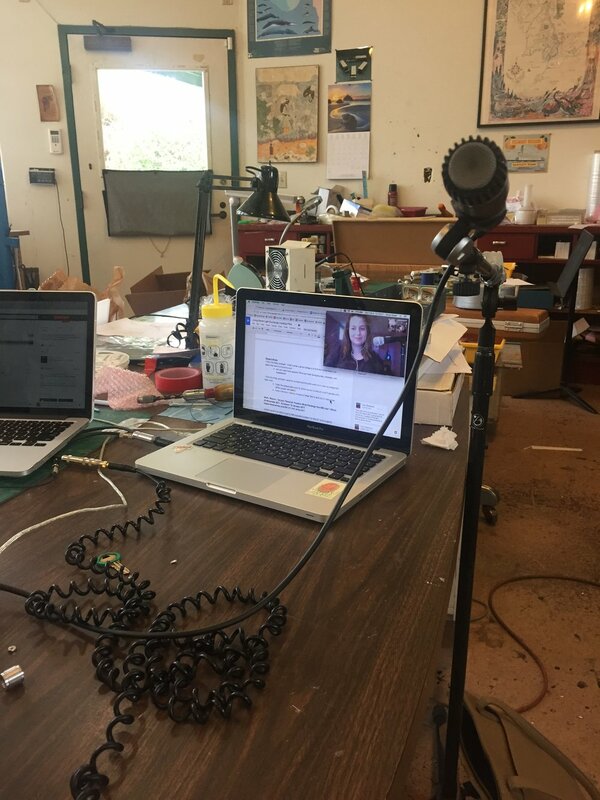 Check out the one-off podcast that I made with Eden Redmond and Forrest McGarvey for a publication produced by Living Room Light Exchange. I recently recorded a conversation between Eden Redmond, Forrest McGarvey, and myself for a publication produced by Living Room Light Exchange. Stay tuned for further details on its release date and where you can pick up a copy/hear the conversation! Eden, Forrest and I talked about Artsy's Art Genome Project. We discussed the format the database uses to categorize artwork and the company's interest to assign numerical values to 'feminist' or 'political' artworks. An artwork might be 30% feminist, for example. It was a engaging conversation, and we had a lot of snacks as you can see in the photos below! “The era of personalization began on December 4th, 2009” declared author Eli Pariser in his book The Filter Bubble. The date marks the introduction of the patented algorithmic filter Google established to track users online. This filter is designed to predict accurate recommendations in search results and advertisements in correspondence with user preferences that are monitored online. Many large tech companies such as Apple and Facebook now employ this personalization filter as third parties who employ codes to mine individual characteristics and subsequently calculate relevant content. Although individual traits are documented within these transactions, the results one ultimately receives are often one-size-fits all categorizations, and frequently skewed by a Western male perspective. The exhibition Third Party intends to examine the technological systems that distinguish aspects of individuality and the implications of quantifiable coded traits in everyday online environments. As an all female artist exhibition, each artwork serves to critique the male gaze evident within personalization filters. The selected artworks question the authority to distinguish individuals through coding, while also questioning who has access to determine economic and informational value through the use of these codes. Not only do the artists employ the use of technology and an online environment to grapple with how one is seen through code, but the artists also directly involve the physical body. In doing so, the individual is reinstated as a priority within an intangible online system that impacts information, objects, and ideas. Third Party creates a platform that questions the perpetuation of dominant ideologies through methods of algorithmic categorization. Philosopher John Morreall famously defined humor as amusement that takes pleasure in a cognitive shift. 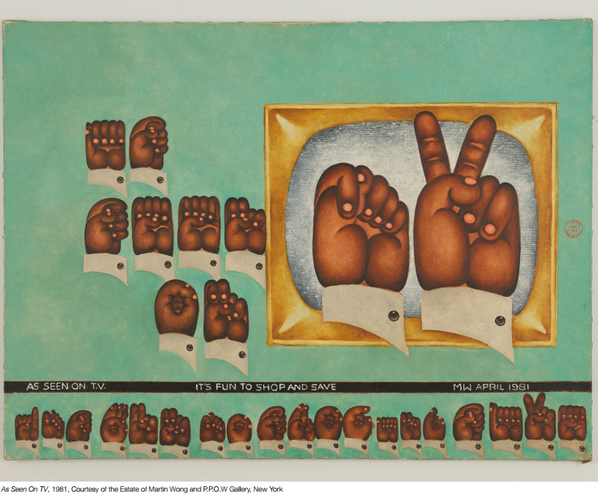 The opening of this exhibition presents a timely connection with the presidential elections, begging the questions: How might emerging artists convey religious and racial discrimination, a crippling economy, or housing costs through humor? In the early 2000s mobile applications began organizing user data similar to archives of the early 1900s. If there is a correlation between these categorical methods, what does this mean for identity and culture that is constructed through these digital platforms? In a compression of theoretical distance between Archive theory and Media Studies, the mobile app Timehop will be analyzed within this thesis to uncover its relationship to preservation tactics associated with archives. Through my coining of the term the hybrid reflection process, my theoretical framework negotiates software development and algorithmic design to question systems of categorization that write our histories for us, and thus our beliefs, customs, and values. By analyzing these systems and their intentions, this thesis advocates for the individual to take part in digital processes to generate information that is more personalized and representative of the self. If you're interested in reading the whole thing, email me and I'll send you a pdf version. The video performance Life in Adwords by Erica Scourti documents an eight month journey through codes, categories, and sweeping generalizations. Scourti’s work highlights how her identity online is subjected to algorithmic calculations through the adwords located in her Gmail interface. In this presentation, I will argue that the mathematical procedures used to reflect individual characteristics seen in this work are not only a product of the digital age. A similar method can be located in archives of the late 19th century. The compression of historical distance between algorithms and archives illuminates a continuum of categorical systems that define an individual and their relationship to knowledge. 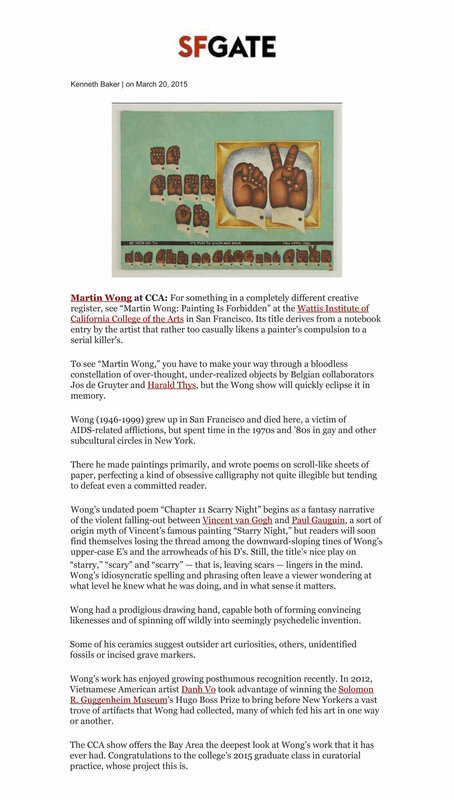 Chinese-American artist Martin Wong (b. 1946) is best known for the paintings he produced while living in New York City in the 1970s and 1980s, where he was involved in the dynamic subcultures of the Nuyorican poets and graffiti artists. But it was in San Francisco, where he grew up, and in Eureka, California, where he studied, that Wong established himself as a prolific poet and ceramicist, a psychedelic painter, an artistic collaborator in the radical communal theater of the Angels of Light, and a self-described “Human Instamatic.” These various influences and interests are reflected in the eclectic body of work he developed in an intense 30-year period of production, before his premature death in 1999 from AIDS-related illness. Painting Is Forbidden seeks to develop a fuller picture of Wong and his wild and expansive body of work by presenting over 150 works by the artist, spanning all aspects of his artistic production and encompassing writing, calligraphy, drawing, ceramics, ephemera, theatrical set design, painting, and collage. Also presented for the first time are Wong’s sketchbooks and journals, his private archive, offering an inside look into his approach to his art and his life.